Linx doesn't just build our clients' businesses, we also develop brands and products internally. 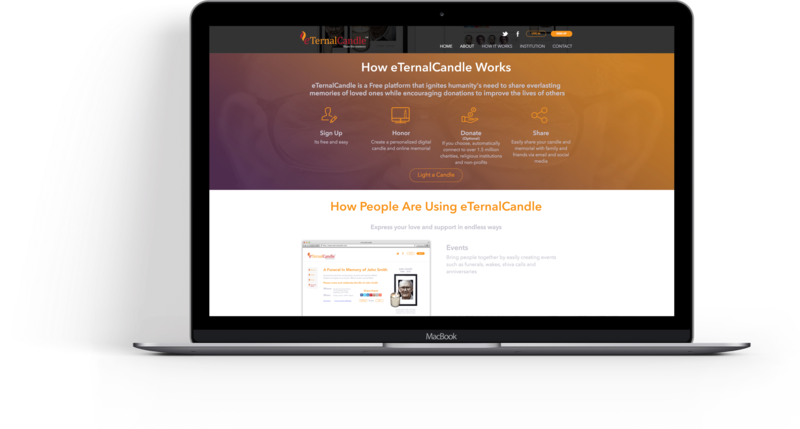 E-Ternal Candle is a passion project developed internally to create a platform that enabled online memorials for lost loved ones and public figures. Linx set out to create an electronic platform for people to support those in need and mourn those who have passed. To expand the mission and take the project a step further, we also integrated charities and organizations to support cuases related to the people who memorials are dedicated to. Linx set out to create an electronic platform for people to support those in need and mourn those who have passed. To expand the mission and take the project a step further, we also integrated charities and organizations with a donation fucntionality to support causes related to those who memorials are dedicated to. This brand is all about emotion, so Linx used a color palette that emulated a warm, comforting tone throughout the website. 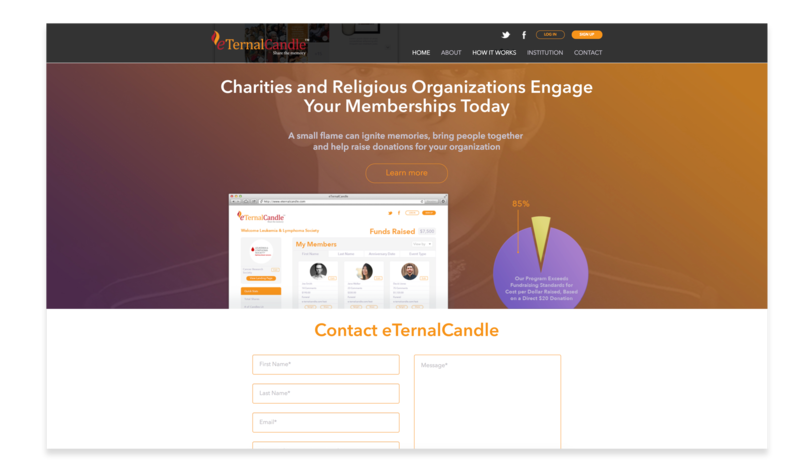 To connect the individual memorials to the community, Linx created a concept to integrate charities and religious organizations through fundraising for important causes. In our 4th generation, the excitement level among potential charitable organizations and those who influence them is very high. 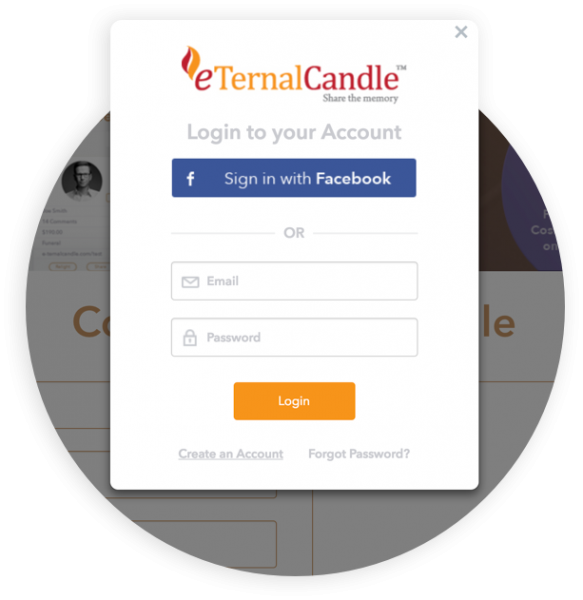 Linx is excited to see where E-Ternal Candle will go from here. Wild Planet approached Linx after several years of informal marketing support and consultation to develop a highly visible web platform for its brands.